Quite often, when you have a site or a blog, you face the need to redirect one URL to another. For this purpose, one can add redirects to the .htaccess file or use a plugin. The latter is the easier way out. Redirection is one very effective plugin for this purpose. 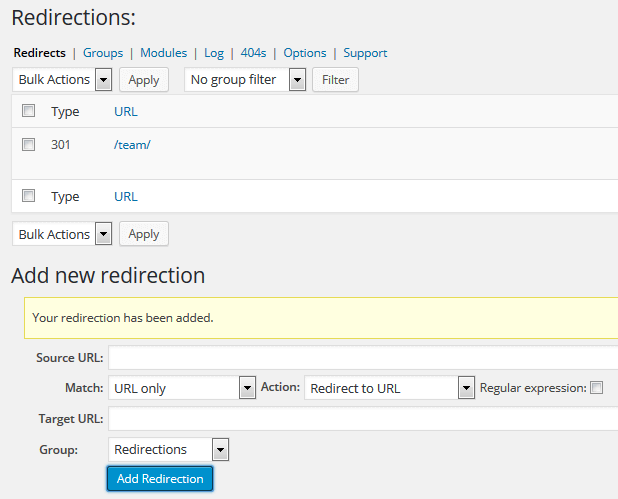 Redirection has a host of features and functionality, but at its simplest, it helps you redirect a page to another. Installation is the usual drill. 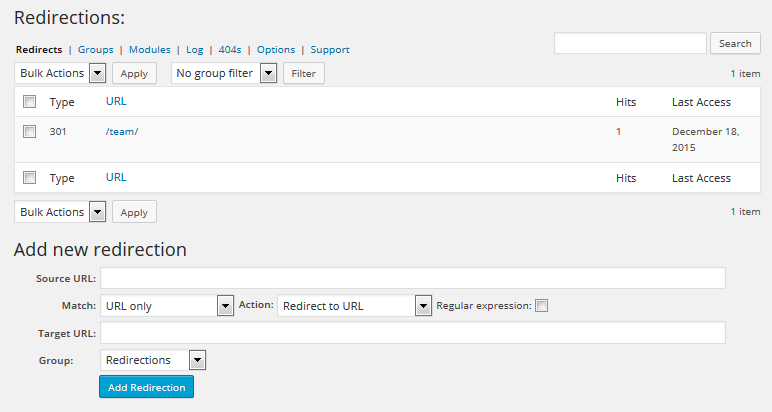 From the WordPress admin dashboard, click on Plugins->Add New. Enter Redirection in the Search Filter. From the results, click on Install Now against the Redirection plugin. After installation, click on Activate plugin to activate it. Once you have installed and activated the plugin, you can click on Tools->Redirection and choose the Options link to set it up. By default, the plugin does not required any setup. But take a look at the options available. You can decide on how long you want to keep your Redirect logs and 404 logs. This plugin is useful for recording 404 errors also known as "Page not found" errors. This way, one can know which pages are frequently visited and if they return 404 error, redirect those pages to some other page. You can also import redirections here. To understand redirects better, consider this scenario. 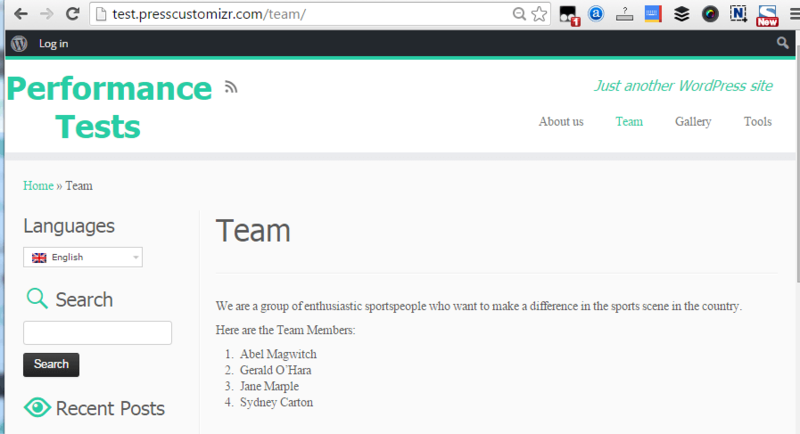 Assume that you have a http://yoursitedomain/team/ page, where you have written about the team behind your site. After a few months, you want this page to be replaced with http://yoursitedomain/members/ page. So you delete the Team page and create a Members page. What happens to those who visit the http://yoursitedomain/team/ URL? They get a 404 or Page not Found error. 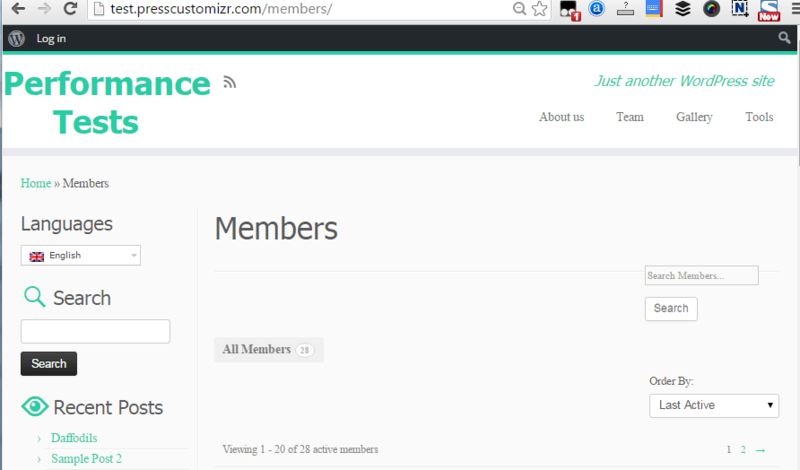 So, use this plugin to redirect the visitors to the Members page. 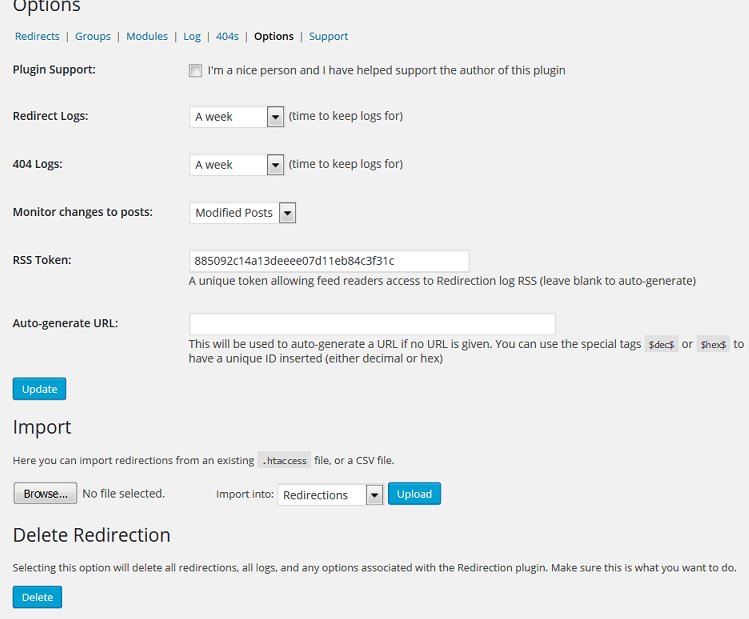 From the WordPress admin dashboard, click on Tools->Redirection and the default Redirects screen appears. A list of currently configured redirections are shown. Below this, Add new Redirection option is available. Now, add the Source URL and Target URL. For redirects within a domain, you need not specify the full URL. Click on Add Redirection. You should see your redirect rule listed. Now visit your site and the particular page for which you added the redirect. You should see it getting redirected to the new page. Now, return and have a look at the listing. Look at the number of Hits. There it is! The Simplest way to redirect a page to another. Each Redirect can be configured with the options available. URL and login status – Matches a URL when a logged in (or not logged in) visitor visits a particular page. URL and user agent – Matches a URL when a visitor uses a particular browser to visit a particular page. Source URL – This is the URL or the original page that you want to redirect elsewhere. Action – The kind of actions to be taken when there is a match. The following options are available. Redirect to random post – Go to any random post on the site. Pass through – Show contents of another page but do not change the URL. Error (404) – Return a 404/Page Not Found error. Do nothing – No action to be taken; this can be used for tracking hits. Regular expression – Check this to be able to specify Source URL as a regular expression, which can smartly match several URLs. Target URL – The URL to go to. 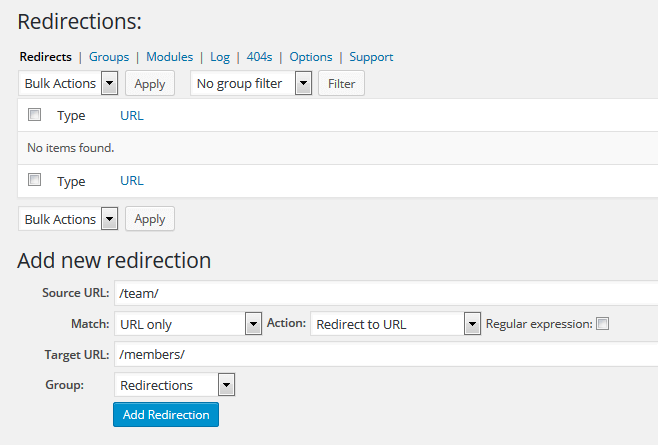 Group - You can group your redirects if you have several redirects and you want them to be organized for convenience. Use this plugin to redirect your visitors from those outdated pages to the best content of your site. Watch your traffic increase!